There is a silent war which rages within the world of humans, that of mutant against mutant. One side believes in peace, the other dominance. Magneto’s Brotherhood of Mutants is a vast network of individuals who have set about manipulating the world’s governments and scientists in order to ensure their place as humanities rulers once the truth about mutants becomes known to the populace. Xavier’s School for Higher Learning is a haven for those who wish to learn how to both better the world, and themselves, through the use of their gifts. They do not seek power, only equality. When Professor Xavier’s hand is forced into action, he’s given a choice: stand by while his former friend tears the mutant community apart, or let his former students stand their ground and fight. Tune in to X-Men: The (fan fic) Series, Friday, September 13th, 8e/7c, for an all new live-action television series event in fan fiction form. 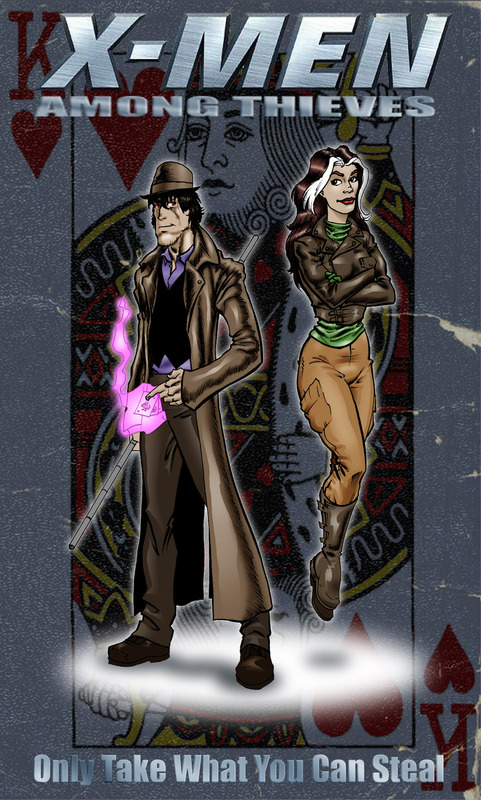 Follow the Series blog for updates, sneak peeks, and a behind the scenes look at this brand new fan fiction series from the writers who brought you X-Men: Among Thieves, the Thieves Guild Series, and the Gym Class (Anti)Heroes series. Chellerbelle is going to be writing ‘out takes’ and ‘bloopers’ from the series which is going to be awesome cause she’s sssssooooooooooo hilarious in her writing! You have got to check out her X-Men Present series!!! We’ll also include some Deleted Scenes as well, but of course both of these won’t be posted until after the episode airs. So far, everything is coming together nicely!